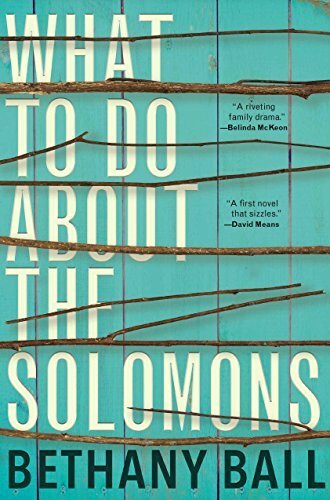 What To Do About The Solomons by Bethany Ball is a fictional book taking place in a kibbutz in Israel. Ms. Ball lived in Israel at some point in her life, and the narrative shows it. What To Do About The Solomons by Bethany Ball is a strange read even though I am familiar with the society it speaks about. The story took about half the book to make sense, but I’m glad I stuck with it. The author fills the pages with quirky characters of the same family. Even though the Solomons live in a supposedly socialistic society, there is still the matter of inheritance when the Yakov Solmon, the partriarch, dies and everyone knows he is a rich man, kibbutz or not. Yakov Solomon has five legitimate kids and maybe a few others sprinkled around the kibbutz. The book revolves around the story of each of those kids. The author does not shy away from pain or happiness, as is real life. The people in the story have their positive traits and faults, many of which are inherited from Yakov himself. This is certainly not a book for everyone, the reader needs to make some assumptions, pay a bit of attention, and keep in mind a large cast. I enjoyed this book, it developed well enough and I’m glad I finished reading the novel.